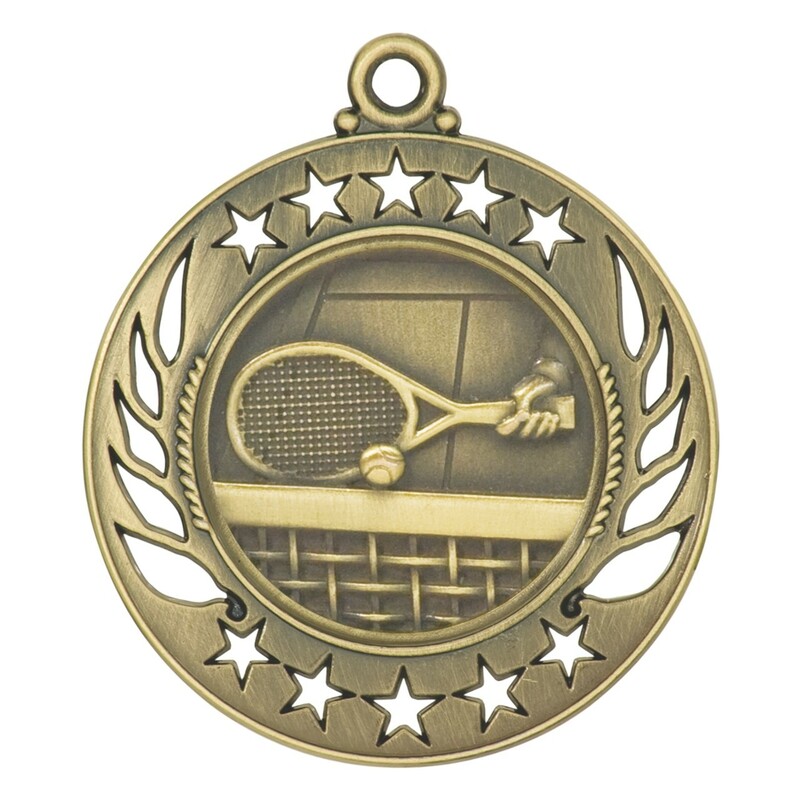 With fun star and wreath cutouts, this Stencil Cut Antique Tennis Medal will rock at your next party! 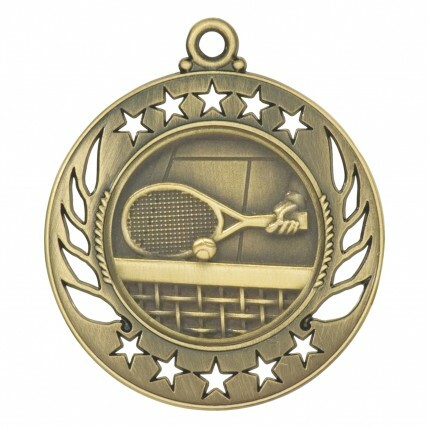 A handsome golden antique finish highlights the center image of a racquet hitting a ball over the net. Using the traditional diamond drag engraving technique, your 3 lines of custom engraving are etched directly into the medal! 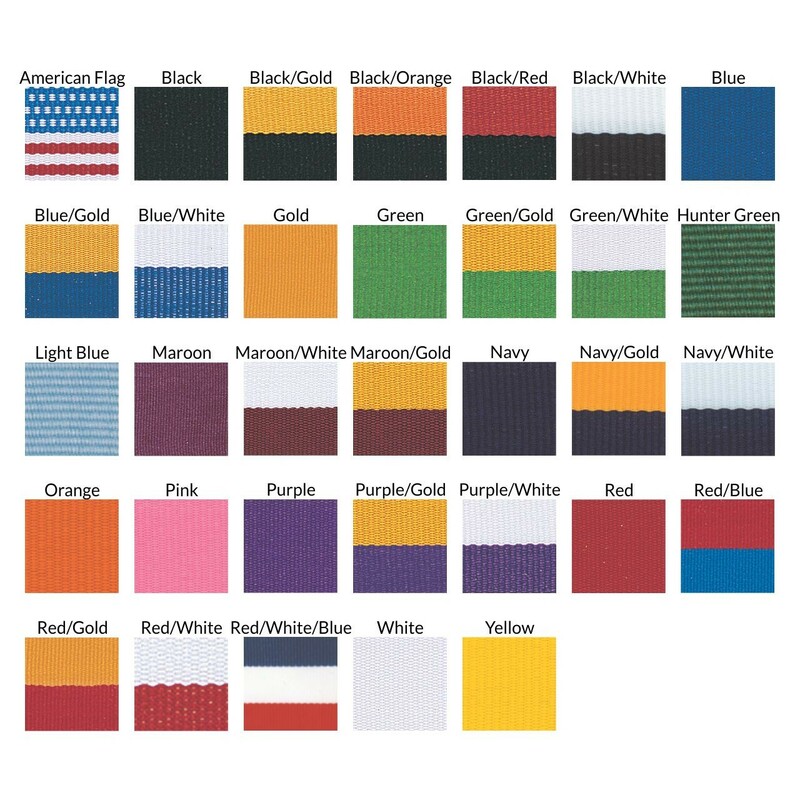 With your choice of neckdrape color, create a medal your team will adore.